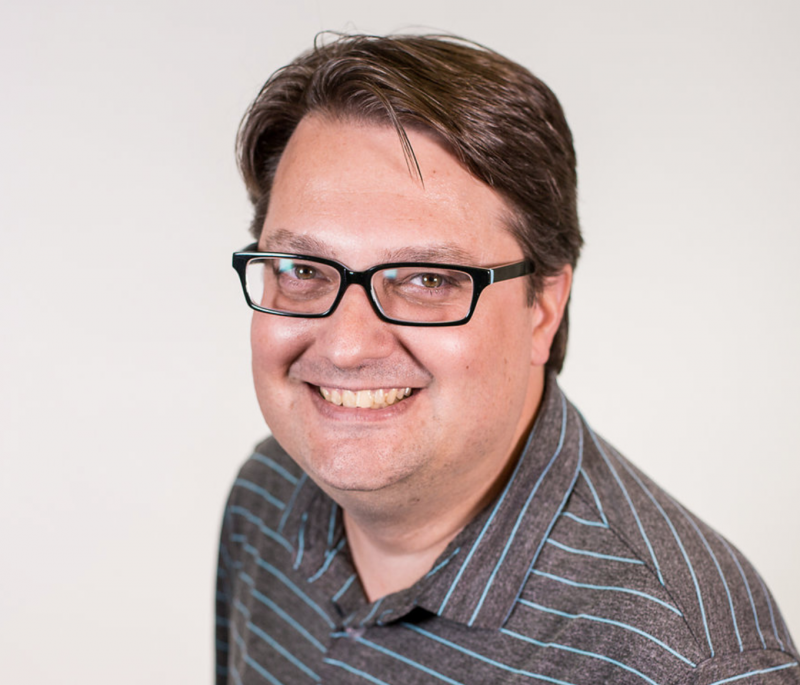 Bob Sparkins (Jenkins), Manager of Marketing Education at Leadpages, brings world-class training webinars and courses to DIY small business owners. Author of Take Action, Revise Later, Bob teaches coaches, consultants, service professionals, and small business owners how to leverage simple digital marketing strategies to impact more people with less effort—and generate great revenues along the way. He’s a lifelong Orioles fan and East Coast transplant enjoying life in Minnesota with his brilliant wife, Therese, and their two kids, Kira and Landon. Leadpages empowers its users with lead generation and sales software to quickly promote their products and services with confidence. Featuring landing pages, pop-up forms, and text-to-optin list building, Leadpages is a trusted tech partner for small business growth. Hey Bob. Really excited to have you here today on this SaaS breakthrough podcast. Super pumped to bring on your company, talk a little bit about Leadpages, you know, your story at Leadpages, who the customers are, what you guys are doing uniquely in the marketplace, but I just want to start by saying, you know, first of all, thank you for joining me. I'm a huge fan of Leadpages and everything you guys are doing. I'm constantly in awe of the things that you guys are coming out with, so really appreciate you joining me and how you doing today? First of all. I'm doing great. Thanks so much, David, for having me on. I really do appreciate also what you and Wyatt have put together over at Demio and we're always big fans of good SaaS companies that know how to bring the right kind of flavor of have a good software to the right group of people. Yeah, that's a great way to say it. And you know, why don't we just jump right in and talk a little bit about Leadpages. You guys talk, you just said a good flavor of software. You guys are a great example of a well put together software that knows their audience. So how does Leadpages get founded? Are you on the funding route and who are you actually marketing to? Maybe what's unique about you guys? Yeah, thanks so much. Well, we started in 2012 in a prelaunch actually the brainchild of Clay Collins, our co founder and CEO at the time and I bought myself, was actually customer number 43 of those first batch of people that purchased Leadpages during the presale and actually kicked off as a, as a viable software product in January of 2013. It was created out of Clay's blog actually, he had a marketing show blog in which he was giving away templates, showing people how to optimize for landing pages and people were saying, well, this is great, but how can I attach Aweber? How do I connect my Mailchimp form, how do I upload this to my website and all this other stuff? And instead of just like sort of ignoring the well go figure it out or go Google it, he decided to create a software platform that has now become one of the leading platforms for lead generation and landing page building in the planet. And we bootstrapped it from that presale offer for the first couple of years. And then we attracted a lot of attention because of our fast growth, received a couple of rounds of venture funding. And so now we're a venture back lead generation platform. We then acquired Drip about two years ago as of the time when we're having this conversation. And so now as a, as an overall company, we're able to both serve the landing page market and the email automation. This conversation, obviously I think we'll focus just on the landing page and lead gen platform, but it's been really cool to be able to have the ability to take risks as a venture backed company and to be able to continue serving the needs of small business owners around the world who don't have degrees in marketing. They might have not even ever taken a class in marketing and they just want to get campaigns up and running quickly to showcase their, their services, their products. A lot of our customer base are people who want to stand out as an authority and they want to make sure that they can deliver that more personal approach to marketing as opposed to just throwing something up and making money online. They want to make a difference while also being profitable at the same time. That's amazing. Almost purpose driven and I actually was a customer, an early customer in those first few years as well. Absolutely. Love, love the product. So you went from a customer 43 you said, to joining the team. When did you join? What was the ARR at that time and maybe what was some of the problems that were going on when you joined? Yeah, well I joined in September of 2014, so we're heading up on four years now and at the time we're, I think around between three and 5 million ARR. We had a good customer base, had rapidly grown and one of the reasons why I was brought on was because we as a company, we're doing really good at content marketing where we're showcasing marketing strategy, blog posts, webinars, podcasts, etc. But we weren't doing an awesome of a job at teaching people how to use the product in a strategic way. And so I came on as the marketing educator in which I have then since taught a lot of people how to use Leadpages as well as do more marketing strategies. And the problem that I was hired to solve was, was just that like connecting the dots between having this software product that does amazing things on its own, but in the context of what do people actually want to do with it. So for, again, a lot of our customers, they can go in, they can make a page, but then there's that idea of, well, what are the finer finesse points of marketing? How can I tie this together to making a lead magnet and how can I tie this together to promote other products as an affiliate or you know, develop concepts that I can test out using a landing page to see if there's a viable product here. All those are kinds of concepts that I've was brought on to help solve and can continue to do so in my current role. Was that reflected in things like, churn lifetime value and stuff like that? Were you seeing those types of numbers being decreased by customer education? I think a lot of times people underestimate the power of that product education, customer education journey, and when they're struggling with things like churn, stickiness, you know, increased lifetime value, increased expansion opportunities, they often overlook that. Is that something that you guys look back on as possibly the pain that you're trying to solve? For sure. There's no doubt now that having a great support team is extremely important. Having a good a content machine is important and being able to tie the two bridges together makes for a better accelerated use of the product and that lifetime value goes up. There's also more opportunities as a SaaS program to offer people tiered levels of a feature set where they can grow into using advanced features. Whereas when they first start, they might not need everything and those educational points allow them to see, hey, you can do these other things as well, uh, that it's going to expand your business, accelerate your list building, accelerate your sales, uh, et cetera. So absolutely pain. Most software products. In fact, before I joined Leadpages, that was what I was doing as a business, was I was going in and teaching business owners how to use software tools that had poor documentation or had insufficient marketing knowledge. They were there. Support documents were, here's button to push, here's another button to push, but not really the why behind it. And that's what with Leadpages we've always been trying to do, especially since I came on four years ago, giving the why behind the marketing, not just the how too. I love that. That's amazing. And it's a huge part of marketing which is education. A lot of people think of marketing as acquisition. You guys are doing content marketing. A lot of people look at that as like the only things there. I think the education process that you're doing is one of the most important parts of marketing actually getting user activation users stickiness all the way through. And it sounds like when you came in, because you're at three to five million ARR already, you guys already found a marketing channels that worked. Acquisition marketing channels that worked, and Clay, I'm sure had a lot of things figured out there with webinars. But would you say that the content to webinar approach was one of your best growth initiatives or what was really driving you in two years? You have to three to 5 million ARR. Yeah, it was. Well, first of all, that's an unusual rocketshIp. Right? And that's not to diminish that, but one of the smartest things that I think Clay did when he first started was he was of the opinion that a content marketer was a better hire at that bootstrapped phase than a sales team because he was able to leverage a lot of other channels, whether it was affiliate promotions to that content that we were putting out or just resonating with the clients. I mean every three or four days he was in his stairwell shooting a video, talking about marketing in some way. And then he hired a guy named Jeff who I think you know, Jeff Wennberg, who became the video marketing guy in Tim page. Hired as the webinar guy. And Kat Von Rohr was the hire for copywriting and like this initial group of people were just churning out really great content. Primarily videos, webinars and really good blog posts that sort of served as a cycle. And I think the most important part of the machine was webinars because whether it was a video or it was a blog post, the thank you pages of almost all that initial content went to, hey, we're doing a webinar coming up, join in. So we, we used the other channels a lot, but everything funneled towards the webinars that we continue to do this to this day. That makes a ton of sense. So you're, you're driving all that traffic to one specific webinar funnel and did that make it a lot easier to test? Because I've seen a lot of times where people have these content funnels and they have unique webinars, unique campaigns on each one which creates like 10 different campaigns to optimize. Do you think that really helped to push growth by just focusing on, you know, we have one conversion mechanism and then we have all of these traffic sources that go to some content or some piece and then goes to that one conversion mechanism. Yeah, absolutely. Because ultimately this is a problem that I saw as a business owner before I joined Leadpages. I was of that same mindset you just alluded to, as being sort of the standard which is create something new, create something new, create something new, and then you have this chaotic behemoth that is hard to team and one of the things that I think was really smartly done early on was optimizing the same webinar and repeating it over and over again, not because we were lazy, but in fact because we were vigilant about testing and vigilant about optimizing the onboarding sequence to the webinar, the preregistration, the post registration, the event itself, the slide deck, the offer, when to put the offer in, when to answer questions, when did you, the followup sequence, how long to do a replay, like all those things got to be tweaked with the variable of the content being the same so that we could actually see what's really working and continue to do that. So now you know, every quarter or half a year we will optimize our new webinar flow, but we don't have to guess anymore about what works when it comes to webinar promotion. We just keep the content fresh every, every so often instead. That's incredible. And how many webinars do you think you've done since you've been there? Almost four years. Oh man. Well luckily I wasn't the only one doing webinars since the beginning. Like I mentioned Tim did it for a long time until last fall. but I and I started doing the onboarding webinars for a long time. I would say that it's easily over a thousand webinars that I've done for Leadpages now and continue to do them weekly, two to three a week. Most of the time that I'm doing them now. No, it's absolutely amazing to hear you as a webinar company, we often see, you know, the friction of people wanting to do them. Like you said they were an organic part of your marketing. The more you do them, the more you'll learn, the more you'll be able to optimize that presentation for maximum effect and conversion. So just hearing those numbers really shows the power and dedication that you guys have to that process, which has been amazing. So I guess in about a thousand odd webinars, what are some significant wins you've seen across the board? Just just for webinars themselves, anything that you can take away from it and just kind of point to and say, hey, these were some pretty cool things that we found. Yeah, I think one of them that I alluded to a moment ago, which is having a steady stream of invitation based on the existing content that you have, so our generic thank you page that we have for our regular content upgrades on our blog basically all point to, thanks for saying yes to this free download, it's on its way to your inbox, you might also like to jump on this live webinar that we're doing on Wednesday and here's how you sign up and it's a direct, you know, sign up to that webinar. So having that as a constant fuel doesn't mean that we have to go out every week and blast email lists with an invitation to a webinar that they might have already seen the invite for, you know, 20 times. It also means that we don't have to always do paid media to it, although we obviously do a lot of paid media too. But having that, just make sure that there's a steady baseline of constant new traffic that's coming in. Another thing I would say that, uh, I think, you know, we did, I had a conversation with Wyatt a few months ago and you did a case study about us on the blog. I hope people check that out. And one of the things that we learned was when do people actually show up during webinars, when they registered a certain point of time ahead. So one of the winds that we figured out was anything beyond 48 hours of, of promotion is almost wasted effort. So within a 48 hour window of the actual time of the webinar, we'll do a heavy promotion for it. But, then as soon as that webinar is about halfway over, we switched over to an on demand version where they just get access to it instantly and we wait until the following Monday to turn on again, the opportunity for the live webinar so that, that's another windows again, optimization testing, et cetera. And then I guess lastly, a good, a good win for our webinars would be that constant exposure, you know, if you do the same webinar or, or have a schedule of webinars, whether they're the same or you do new content every time you do it, but having that routine of weekly or at least every two weeks gives you that opportunity to give your affiliate something really good to promote. It gives you the practice as an individual, a presenter or as a company to have somebody presenting for you and it has that constant personal touch where you're able to go out and, and be a little different because you're not just selling from pages of static content. You're actually engaging with people, answering their questions and then having that human connection which other than one on one or in person is hard to replicate other than with webinars. Yeah. One hundred percent. Something that we always say here at Demio is that relationship building on the webinars are so critical and you mentioned a key concept that I want to dig into more, which is affiliate marketing and how you guys have been able to utilize that channel so well I think, you know, SaaS companies have been using affiliate marketing, affiliate marketing been around forever, but I think you guys were one of the first really big SaaS companies to have that as one of your main focal channels to grow. So how have you been able to continue to use that over the past four or five years and keep the same affiliates happy, keep people making money and also, you know, create, like you said, great content for them. Obviously you're using the webinars for them, but maybe give us some, some insight into that. Yeah, I think part of it is making sure that the product is awesome for people to be able to rave about. Right? So we're constantly looking at ways to improve ways to make the lives of, of our affiliates customers lives easier, right? Because at the end of the day, a good affiliate program to be successful is going to make the affiliates look good for the recommendation, right? Because there's this psychology of, of transference of value between when an affiliate says, hey, you should go check this out. You should go check out Demio. You should go check out Leadpages, you should go check out whatever. When somebody goes and buys it and use it and loves it, they, they ascribed some of the credit and value back to the person who recommended it to them. So it's really important for us to constantly have a really easy to use powerful landing page builder plus the other tools that you can do like lead boxes and lead digits, etc. And be able to have people say, yep, this is something that I use and I want to tell more people about it. So that's really important. Second thing is to make sure that it is a rewarding experience for the affiliate. Right? So a lot of SaaS companies will pay out five percent or 10 percent, which is okay if that works for them. But you know, we're at that 30 percent mark, which both respects the affiliate for the, the importance that they have as well as making sure that our margins are healthy, and so we can continue to do the service and grow and add support team members and all that kind of stuff as we scaled up. So having that recurring revenue stream for an affiliate is extremely important to have the loyalty in there. And again, as I mentioned, having a great product is one thing, but also treating their customers really well. So having a great support team, having a good educational resources, all those things that allow people to say this was a really good decision in my business to buy it and I want to recommend it to other people. One of the things that we haven't done as well of that we're doing more of going forward is turning our customers into affiliates faster. A lot of the time it was us outreaching or the network we had, whether it was Clay or myself or anybody else being able to reach out to people who were using the product and saying, hey, you have a really large list and we want to make sure you're an affiliate. And that worked really well and we've got some great affiliate partners that have done well for, for us. But one of the things I'm looking at as a personal kind of mission over the next couple of months is making sure that someone who doesn't have a large list is able to see value in promoting Leadpages as an affiliate so that we can have the other, you know, 40 plus thousand people, that are out there, as customers being able to say, you know, I can make two or three sales, make sure that I'm sharing this with other people and boost up the affiliate program that way. So the point being that as a SaaS company who listening to this, don't, don't just go after the whales, don't just go after the big people who you know can drive a lot of traffic, make sure that the people who are in the starting phases of things can also share it and benefit from it and have this larger mass of people talking about what you're doing. Yeah, I love that and we've actually at Demio been really lucky too, we put in the affiliate program as something that people see early on in their process and it's been a big part of our growth process, a lot of organic, a lot of that referral and affiliate traffic has been huge for us, so I could totally see that with your user base being a great way to continue growth, but just want to jump back. You said you guys, you and Clay were reaching out to quote unquote the whales as you were speaking of. What kind of criteria were you guys laying down and how are you actually reaching out to those people? I think a lot of people want to do affiliate marketing, they don't even know besides using their own users how to get the bigger affiliates to come in. What does that outreach look like? Is that relationship building? Is that just sending an email with cold email outreach? What does that look like and how did you get them excited and enticed? Yeah, it was a lot of relationship building, a lot of followup, a lot of follow through and again, delivering on a great product. The initial affiliate program for very, very long time was closed, meaning you had to be a customer of Leadpages in order to promote it. So that was one thing was, you know, hey, let's make sure that you're using the account and in some cases it was let's give you an account for a month or so, so you can test it out. And in other cases it was, you're already using it. Let's make sure that you're able to address this. We had criteria for the number of people they could register for a webinar if they were going to do a co hosted webinar promotion, but to be an affiliate itself, you know, didn't have a lot of requirements other than being a, being a customer, relationships though we're the most key going to conferences and seeing the people who have audiences who are our ideal target market. So in our case it's small business owners, entrepreneurs, people who are trying to scale an offline business to online or who are taking a service approach or a coaching business and in leveling up to, to another level. So we were able to connect with the right kinds of people in that way. and very grateful for the efforts that they've done. Also, in some cases it might be a, it might behoove you as a SaaS to give an extra layer of affiliate commission to people who you really want to incentivize. Because at the end of the day they have limited bandwidth and choice. So if you want to make sure that they're signed on, you might need to give them a bit of extra reward. And if it's not in the form of commission payments, it might be in the form of, of bonuses or it might be in the form of just, you know, a promotion reciprocally, there's a lot of different ways to treat your best affiliates, you know really well, so that they feel valued not just by sending them a check but by showcasing them on podcasts or showcasing them on the blog or incorporating them into the content that's being delivered. Totally agree. Yeah, that's really, really great advice. And you mentioned incentives. They're like a bonus commission incentive or, we've done all types of bonuses from free accounts to cool software to swag and stuff like that as well. Or even, you know, a little mastermind stuff I got little bonus incentives, but what about incentives to keep those affiliates continuing to promote? Because I know that's a big thing as well, right? People come in, you do your webinar with them. How do you keep that relationship going? So that's a continual traffic source now, not just like a one and done kind of thing. Sure. So ideally it converts, right? So this isn't always the case, right? I mean, that's not, let's not sugar coat that. Every single webinar that ever happens results in 40 percent conversions or whatever because that's not always the case. But you want to obviously the performance matters. So if you're able to have an affiliate who sends their traffic and they are able to get a certain benchmark of dollar per click or dollar per registrant or dollar per attendee of a webinar, they can see value that their efforts were rewarded. Then if you have a product that people rave about, that actually legitimately goes back to that person and says, thanks so much for recommending this tool. Uh, it's been really great. I love using it. Thanks so much for recommending it. That's going to fuel their sense of providing value to their audience. But a lot of the cases, David honestly is asking them, you know, coming back to them every, every once In a while and saying, hey, we've got a new content asset that you might want to put into an autoresponder, or we've got a new webinar that we've just created that we'd love to do another co-host webinar, here's a PS that you can put in. So some of it's about asking, reaching out, checking the stats and the affiliate software, seeing who's promoting. Saying thank you to those that might be, have a new spike of, of, of, of new sales. Those that dropped down a little bit, going back to them and saying, hey, I noticed that we weren't able to send you as much commission this month. What, what, what can we do to make sure that you're sharing this with the right people or, you know, get that commission back up. So it's just about paying attention. So having a dedicated affiliate manager is really important. It's not necessarily at the very, very beginning, but pretty early on after you've hired the first couple of content people are or other folks that you're doing, having someone whose sole job is focused on affiliate marketing and recruiting affiliates, connecting with affiliates can be extremely helpful just to pay attention to make sure that they feel valued along the way. And that's something that we're, we're happy that we've been able to do for the, the length of this company. Yeah. I think so much of it is that relationship. Making sure they feel supported, like you said, and just paying attention. It's easy to think of them. It's just like, hey, just traffic, just affiliates, but like, got to pay attention, got to give them love and, and like you said, continue to create value on your side so you can come back to them and give them an easy way to continue to promote and make it a win. And through all of this, through affiliates to the webinars at the end of the month, what do you guys sitting down and looking at? Are there KPIs or quotas that you're looking at? And specifically maybe from, you know, webinars, are you breaking it up by channel? What does that look? Yeah, so we, we, we meet weekly actually for the marketing team and look at different channels between paid social, organic, social, organic search, direct traffic, which is, you know, people just typing it in a webinar traffic, etcetera. So we're, we're looking at that, we're looking at improvements and the data studio dashboards that we use, we're looking for green so they always show the plus or minus in green or red. So we're looking for green in that regard. And we're just making sure that as we set out, you know, we, because we do have a board, we have a or a venture back company, we do have a board that's intelligent looking at the marketplace, helping our c suite folks like scope out, here's our targets to hIt. And then that gets to our marketing team of how are we going to hit that between both new acquisition revenue and recurring revenue so that, you know, everybody's excited and, and having that professional set of eyes on the outside is really helpful too. So yeah, we're looking at all those different channels. We're looking at new lead generation. so how many net new leads did we get each week and each month, how many new customers do we get? How many new renewals did we get? And what's the MRR and ARR, that's always like we have a dash, we have a monitor as soon as you walk in the office that showcases a lot of these data points so that it's always top of mind for all of us to be able to pay attention to that, while also knowing that at the end of the day, our business, like a lot of SaaS companies is really about solving the problem that people are facing and doing that really well so that they are excited about using it and coming back again and again. So although your question is speaking towards metrics and data and numbers, we always want to put a personal touch to it and put a human touch to it. So we're also looking for, what are some case studies that have come come along or what are some feedback loops that we've had from support that we can feel really great about or get the feedback and say, hey, this is an area that we can improve on. Yeah, I love that. It's so easy, like I said before, to just think of things as numbers or data points like you said, and it's really about that value. The MRR numbers are a representation of the value that you're able to serve and how well you're able to get that message out. And you know, the other thing that I think is really interesting is you guys have a very, it's a very simple set of numbers you're looking at if it's all in the board and you're able to sit down and just look at it by channel, which means that you guys have simplified your acquisition funnel. And I love that. So we talked about before where you have that one single conversion machine, that webinar, and probably some other items as well, like your pricing page, direct sales, demos, stuff like that. But still, it's a simpler manner of checking like how many leads and how does that convert to sales. It can be so easy to get lost and all that data. And so I guess in the past four years with you know, you and Tim and everyone else working really hard on the webinars across the board. Where has the company grown to in terms of ARR in a rough, a rough level? Yeah. So it's something that I'm really excited about because we're, we've just been able to scale to many multiples of where we started with when I first joined the company. We've also made shifts and changes, you know, where initially I was one of, I think 60 people in the company and we grew to about 150. We trimmed, trim some of that down a little bit and then we acquired Drip, picked up some more people than we divided between Drip and Leadpages. So as a Leadpages squad, we're now at about 75 people and Drip is around the same number. So we're still as a overall company around that 140, a 150 mark, and we just have a nice healthy business. We're able to see great returns for both our investors and ourselves because we're employee stock option kind of profit sharing sort of a group of people. And we're excited about what the prospects are ahead for both Drip and Leadpages and been able to see not only the growth of our own businesses but especially the growth of our customers to where they've been around and been able to accelerate their not only list building but their sales through using the software tools that we're providing for them. Yeah, I think your guys' growth has been fantastic. I think the Drip acquisition is just an unbelievable story and I'm looking at bringing Ryan from, from Drip over onto the podcast as well to learn a little bit about their marketing process. So it's also interesting to hear you talk about, you know, the team options and what that means for distributions because I think that makes everyone feel more accountable for company growth and company culture. And values and the products and all that kind of stuff because you're part of it, you're, you're winning if the company is winning. So it's an incredible culture that you guys have. and I noticed watching the outside, you know, what you guys mean to the marketplace and the value you serve. So that's absolutely amazing. And I guess, you know, we're kind of crazily, I think we're in Q3 which is insane of 2018 years recording this podcast, but what does it look like for the rest of the year as far as marketing? Are you guys doubling down on anything you guys going to do anything different? Or is it going to be business as usual? Yeah. Well, I think there's two big things. One is we're really about democratizing the access to strong marketing and conversion for business owners who don't have a team or they have a team of like three or four people. They don't have a lot of time or bandwidth to spend it with doing web marketing, but they know they need to do it. They don't necessarily have the budgets to go hire out an agency that's going to charge them thousands of dollars a month before ad spend. We're really wanting to make sure that, that, that group of people, which is a huge market just in the United States, not to mention the rest of the world. And it's often overlooked. A lot of companies start in that space and then they scale and they go to enterprise and there's nothing wrong with that. It just means that that group of people, the five person shop or less continues to get overlooked and underserved and we want to continue to be that goto software platform where they can find that we're continuously providing them with a valuable software set support and marketing education so they can move forward. We're also really strong with our partnership with Facebook. So we're one of the few companies out there that has an integrated Facebook ad builder so that people can build their Facebook ads within Leadpages without having to go to the ads manager, which has been really helpful for a lot of our customers to get their initial campaigns going. You know, I don't know how much you spend in the ads manager David, but it can be really confusing for people who aren't trained in it. And Facebook's come a long way with their blueprint and their training and such. But it's still confusing for a lot of people. It's confusing for me. Yeah. And for people that have used a lot of times, it gets changed too, right? Like every three months or less, it seems like it shifts the way the dashboard even looks. So having the ability to go from a published page to promote it in two minutes or less has been really great for our customers at all levels. And, and again, I want to emphasize this idea of taking people who are relatively new to digital marketing or don't have a lot of time, don't want to, you know, figure out how to work with a freelancer or a webmaster or they've worked with webmasters and freelancers before and didn't like the turnaround time. Just focusing on helping them use our product, get something online that presents their brand really well and basically serves the needs of like 98 percent of the website can be done with Leadpages. So making sure that that's, that's known, that that is something that people can resonate with and that they get a lot of value from it. Yeah. And it sounds, it's obvious to me that so much of marketing is wrapped up in product there. Like, you guys are focused on what value can the product serve because that makes your marketing so much easier. We can give them more of this. We can do more of this for these people, which again, makes everything else easier for you guys, but I can just feel the culture of product first and value first that you guys have. So that's absolutely incredible. My hat's off to you guys. But at this point I want to move over to the lightning round questions. Just five quick questions we'll run through. You can just give me the first answer that comes to your mind. It's toughened. Ready to go? Let's do it. Alright. What advice would you give for early stage SaaSs companies starting marketing today? I think if you have not started your SaaSs or you're still in the formation stage, I would look at that presale strategy of offering the view or thethe thought of what the product can be in the selling it before you spend all this time, months or years, making a product that you don't know if people actually want early validation. I love it. Also making sure that people want to buy that product. Or what marketing skill do you think is vital for teams to improve and build on? I think execution and consistency and I know you asked for one, but that's two things. And what I mean by that is it's easy to think that you have to do all these other things at the same time because you were hearing from so many different places. You got to do this, you gotta do this, you got to do this. That can be really overwhelming. So try to stick to one thing executed and then optimize that consistently before you branch out into a bunch of different channels. So I'd add a third one too. That'd be focus execution optimization. Yep. Boom. Love it. Best resource you recommend for marketing. Educational resource, I should say. You know, I really, I really love what Tracey Wallace is putting together at BigCommerce. If you're not following BigCommerce in their blog and they're, they're about to do a summit, that I'm happy to be part of, but the educational material that they're putting out, the connection to, to online stores and so forth can, you can learn a lot even if you're not doing traditional ecomm, even if you're a service provider or a professional marketer of some kind, but what they're putting out on a regular weekly basis is phenomenal. So I'd highly recommend that. That's a really good one because we definitely use a lot of tools, a lot of tools. You know, I think, I hate to sound like a homer, but I use Leadpages all the time. So I would say that, but I know that's not a good answer. So let me think of something different. We're also, I'm using a silly little tool. It's a free tool called Freemind. I've used it forever. I used to use it when I was a high school teacher to plan out my lesson plans, it's mind mapping tool and I use it, I use it all the time to scope out a new webinars, scope out a lead magnet, scope out an email series. And even though it's really old looking and sort of a sort of basic, I like, it helps me to organize my thoughts around a product or project that we're about to do and then it allows me just to have a better view of what's going on. We're also using Jira a lot in our project and our project management across our team. So I can't say I wouldn't live without it, but it's something that we use on a daily basis, that I think people, whatever it's Trello or Jira or Asana or something of that nature, just some kind of have a product management tool where you can see the status of what things are, especially if you have more than a couple team members. That's very helpful. So helpful, especially for remote teams or anyone doing project management but I also have the checkout Freemind. I love mind mapping software is always so helpful. Then what about a brand business or team that you admire? You know, I, I really love the work that Scott Stratten and his wife Allison do at Unmarketing. They also have a podcast, it's called the Unpodcast. Scott's been a long time Leadpages, a member, one of our poster children for using lead digits from stage. But I just love his approach to questioning the status quo of what marketing should be a and you know, calling bs on bigger corporate marketing and trying to incorporate the lessons from that into both other corporate but also the smaller marketer. they're, they're really energetic as a couple. They're really fun to watch. I'm married to an executive business coach and we don't do business together right now since I work at Leadpages, but just being able to see like a really cool, couple of spouses who engage their market really well, know their audience really well and have a lot of fun doing it I think is really tremendous. Yeah, that sounds very inspirational. And I'll have to check them out. I have not heard the podcast or them, but I'll definitely check them out after this. But a really just want to thank you so much for taking the time to join me today, Bob. It was a fantastic episode. We talked about a ton. You mentioned also that we have the Case Study from you and Leadpages, which is an incredible case that we put together talking about that webinar process a little bit deeper. So for those of you listening, if you want to see exactly what Bob is doing with these educational webinars weekly, you can go check that out. We talked about everything from how they prayed together, the traffic type slides, everything like that. And again, I just want to thank you so much for your time today for joining me and for sharing everything. Yeah, thanks so much David. I really appreciate it. I love what you guys are doing and this podcast is a good testament towards not just wanting people to be good customers of your own product line, but just being good SaaS marketers and being people who helps small businesses and the people that are connected to them achieve what they are looking to do. That's awesome. It's exactly what we're looking to do. And we definitely took that from you guys. So thanks for being a leader in the marketplace. And thanks for everything you guys do as well. Alright, talk to you soon. Have a great day.